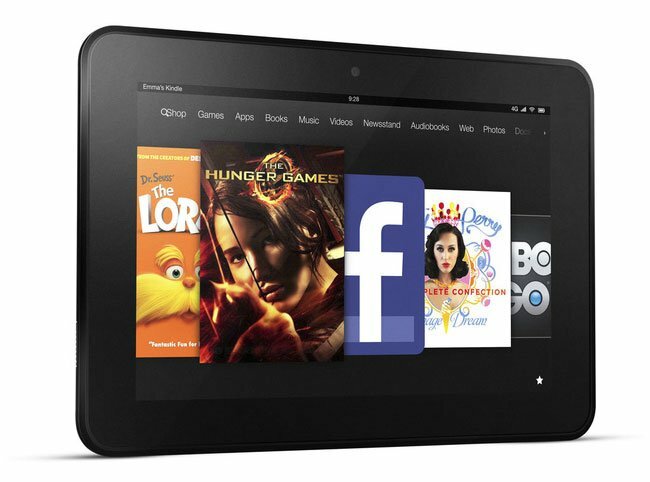 Amazon has this week announced that their Kindle Fire 4G LTE 8.9 tablet will be arriving on AT&T later this week and will be available to purchase from April 5th. The Kindle Fire 4G LTE 8.9 tablet will available with 32GB of onboard storage, and AT&T customers $399 Kindle Fire 4G LTE tablet will also receive a two-year data plan agreement, and receive up to $150 off, for a limited time, lowering the overall cost of the Kindle Fire 4G to $249. To re-cap the Kindle Fire 4G LTE HD 8.9 tablet is equipped with a 8.9 inch screen sporting a resolution of 1920 x 1200 pixels and is powered by a OMAP4470 45-nm SoC from Texas Instruments, with two ARM Cortex-A9 cores, clocked at 1.5 GHz, together with a PowerVR SGX544 GPU core clocked at 299 MHz, all running Google’s Android 4.0 Ice Cream Sandwich (ICS) operating system.